Do you have an appetite for risk? The move toward value-based pricing may be confusing to many physical therapists who have not ventured away from traditional fee-for-service payment. For us to shift our mindset to alternative pricing, we must be comfortable with accepting some of the financial risk of providing care. We are used to being paid by timed units of service. Accepting financial risk moves us in a different direction and means we need to be able to predict our outcomes for a specific patient population. In order to do this effectively, you must know your cost and profit points. You shouldn’t venture into these models until you know your key practice metrics. These key metrics are covered in the October issue of Impact. In value-based pricing you are telling the customer (patient, payer, employer) that you are good at what you do, and can demonstrate that via your predictive pricing and outcomes tracking. Your pricing is based on your ability to know your outcomes and predict costs, thus demonstrating your true value. Some may think that assuming financial risk translates into reduced profitability. Any pricing model other than traditional fee for service in which the provider has an upside or downside financial risk based on outcomes and utilization can be described as value-based pricing. I will cover a few different pricing models that can be incorporated into a value-based program. Note that pricing for physical therapy in a value-based system cannot be done in a vacuum. The true upside of value-based pricing resides in the integrated approach among different providers where the continuum of care and management of an episode of care is done in a cost-effective manner. In value-based models the key is to demonstrate an overall savings, improved outcomes, and better coordination of care. Expenditures are evaluated over a year period comparing the cost for a population of patients with a specific injury, like low back pain, in a traditional delivery model versus the value-based model. To determine the cost per case, multiply your cost per visit by the average number of visits per case for that diagnostic group. In many pricing models this is broken down into two major categories: nonsurgical and surgical. Bundled rates and case rates in health care are very similar. Both price the case based on an episode of care. However, in physical therapy these models play out in different ways. Bundled payment, also known as episode-based payment, episodic payment, episode-of-care payment, case rate, evidence-based case rate, global bundled payment, global payment, or packaged pricing, is another pricing model. A bundled payment is usually associated with payment to a group of providers for an episode of care provided within a defined time period. The bundled payment is specific to the diagnosis/procedure being performed and covers all aspects of care including hospitalization, sub-acute care, physician visits, and so on. The gross negotiated payment is made by the insurance company to a provider group (hospital, medical group). The provider group administers payments to the other providers, including physical therapists. In these models, the care usually revolves around postsurgical care, and a single case rate is negotiated between the physical therapist and the at-risk provider group. The bundled payment may also involve a shared risk or shared savings model in which profits that are realized above an anticipated amount are shared among the providers. Conversely, a provider might assume some financial risk if costs escalate beyond the lump sum bundled payment amount, resulting in a loss to all providers involved in that case. Full capitation occurs when a provider group assumes full risk for the management of a defined population. For example: A Blue Cross plan insures all of the employees of a large corporation. They negotiate with a medical group or hospital system to provide all care within their provider network. Following analysis of the risk history of that population, Blue Cross offers to pay the provider group a fixed amount per employee, every month. That rate is often called a per member per month (pmpm) rate. It is then up to that group to provide care directly to that population of patients or to contract out some of the care to community providers. When a physical therapist decides to participate, they can negotiate a fee-for-service, case rate or a sub-capitation rate. In a sub-capitation agreement, the physical therapist will assume full risk for that population of patients for physical therapy. Most sub-capitation arrangements separate out the senior population from the nonseniors with significantly different pmpm pricing. Let’s assume that you decide to manage a population of 5,000 individuals. 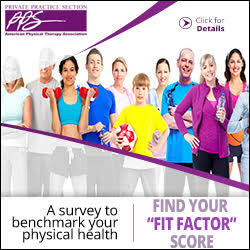 You must determine your costs to provide care to an individual and then request data from the payer or medical group on past physical therapy utilization patterns from that population. Having this information will allow you to estimate the volume of cases that will be directed to you and your estimated costs and profit in managing those patients. As an example, let’s say that you are being paid a pmpm of $1 for nonseniors and $2 for seniors. If 4,000 of the group are nonseniors and 1,000 are seniors, you will receive a monthly check of $6,000 to manage all those patients regardless of how many visits you provide. You assume all the risk under a sub-capitation agreement unless you have a contractual clause that protects you from overutilization. Again, knowing your costs per case and outcomes is key to successful management of a capitated population. Physical therapists rarely accept the burden or risk for the total management of a patient through the continuum of care. However, as a key provider who can significantly impact the total cost of an episode of care, they can participate in programs known as shared savings models. In this model, if a health care system or provider reduces total health care spending for its patients below the level that the payer (e.g., Medicare or a private health insurance plan) would have otherwise expected, the provider is rewarded with a portion of the savings. The result is that the payer still spends less than they would have otherwise, and the provider gets more revenue than they would have otherwise expected. This model can be combined with a traditional fee-for-service payment or bundled payment. In each of these models there is a predetermined amount that the payer has established as the threshold payment. If the provider comes in with expenses below that amount, the payer will designate a percentage of the savings as a value incentive back to the provider. Conversely, the model may be “two sided,” where under a fee-for-service payment, expenditures over a pre-specified amount per case result in a penalty that the provider must return to the payer. This two-sided model was introduced as a payment methodology as part of accountable care organizations under the Affordable Care Act. Physical therapists have not directly participated in two-sided models with the government. However, the evolution of the model may expose physical therapists to this pricing option. Shared savings models may be inherently flawed in that the “savings” occur via a comparison over previous years with a similar population. Showing savings yearly when efficiencies are incorporated during the initial program years becomes difficult if not impossible. These shared savings models inevitably are self-limiting in duration. The pricing of physical therapy is evolving. Private practitioners may choose to be involved in value-based pricing models as an individual practice or as part of a larger contractual entity. Practices may enter these models via relationships with hospitals, medical groups, or payers. Whichever approach is taken, the practice must be comfortable with their own data and appetite for risk. 1 https://academic.oup.com/ptj/article/93/1/104/2735394. Accessed September 2018. 2 https://ppsapta.org/userfiles/File/ImpactofPhysicalTherapistServicesonLowBackPainEOC.pdf. Accessed September 2018. 3 https://ppsapta.org/userfiles/File/CHECKLIST%20OF%20KEY%20ISSUES%20FOR%20MANAGED%20CARE%20PROVIDER%20AGREEMENTS.pdf. Accessed September 2018. Rick Katz, PT, DPT, MA, is a PPS member and vice president of operations and payer contracting with ATI Physical Therapy. He can be reached at Richard.Katz@atipt.com.